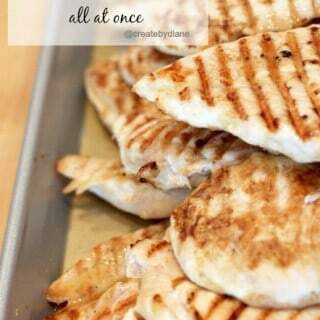 This is my all time FAVORITE chicken recipe!!! It really is my families favorite and I’m sure will becom yours too. not only with my husband but with Chicken Francaise. I am the type of person that when I like a dish, I can’t get enough of it and want it all the time. 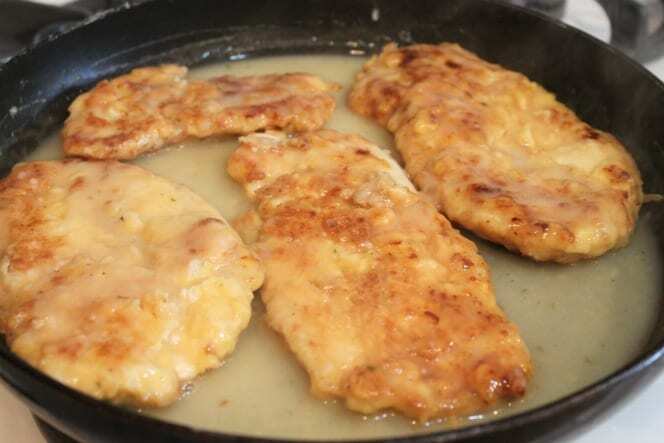 It was no different with Chicken Francaise, except I wanted to know how to make it. Not just order it at one of my favorite Italian restaurants. For months and months, I would order it for lunch, there was the yummiest restaurant just around the corner and they made Chicken Francaise so delicious. They knew me well. I would order it at least three times a week. I couldn’t help myself. I was very good friends with someone who told me she knew someone who would explain how I could make this and all the tips to have it come out just as delicious as the restaurant. I think it’s all in the sauce. Really, this type of dish is all about the sauce and once you master the sauce the chicken part is really no problem. Since this dish is based on a Roux and I’ve had it many, MANY times at Italian restaurants, it’s really a French-Italian dish. Since there are way more Italian restaurants where I’ve lived I have no idea if they serve this in French restaurants or not all I know is it should be served everywhere. Yes, even at the drive-thru window, wouldn’t that be nice. I did one thing different to this day than I had done before. and I’m going to tell you… I LOVE this new butter. It’s Land O Lakes Butter with Olive Oil and Sea Salt. Land O Lakes made butter even better if you ask me. I’ve been slathering it on everything and I just love the salty smooth taste that is great for cooking dishes like this as you don’t need to add oil to the butter so it won’t burn anymore. Yep, it saves me that step and well with a multi-step dish like this, it sure is wonderful. crispy chicken is the key to how wonderful this tastes when the sauce is added to the chicken. 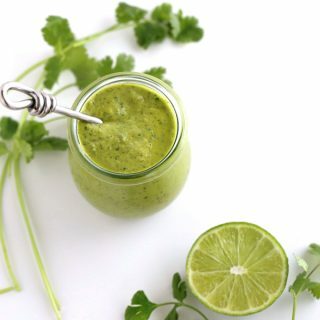 Do you have trouble making sauces? Well, this is all you need to know. Butter an flour, whisk and heat then add your liquid. 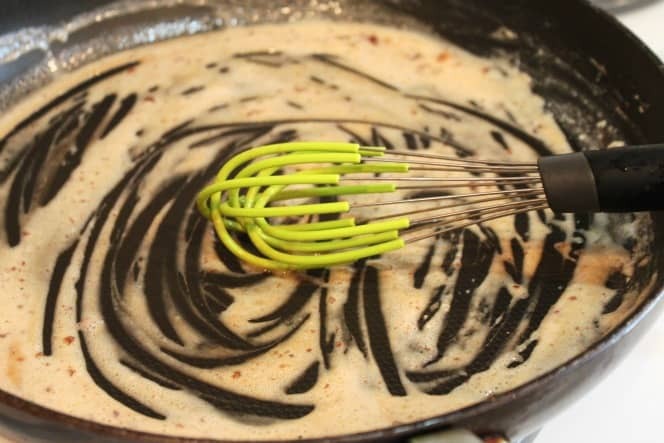 Yep, a Roux is the key to making great sauces and gravy. Allowing the sauce to cook brings out a rich taste that just can’t compare to a sauce made with cornstarch and broth or flour and broth. Really, think biscuits and gravy it all turns out delicious when it begins with bacon, sausage beef drippings or butter. Oh, how I love butter! I think you’ d laugh some days if you peeked in my refrigerator and saw all the butter. You’d think I ran a commercial kitchen or bakery. Placing the chicken back into the sauce allows the coating on the chicken to absorb all the lemon, wine, and chicken flavorings so each bite is delicious. mmm….I can almost smell the lemony yumminess. Do you have a favorite dish you’ve ordered over and over? Have you made it at home? How did it compare? My mom has told me she thinks mine is even better, I think it’s the LOVE that I put into it, and this dish, in particular, is FULL of love. If I make a LARGE batch of this. Which I have many times. I sometimes cut the chicken pieces smaller but this is about 3 times the amount. I turn my oven on 250 degrees and keep the chicken hot on a baking sheet until it’s all cooked, so it doesn’t get cold and it’s so great as it stays hot and gets crispier and is the perfect temperature when added back to the sauce to serve. Pound chicken thin, it will cook quicker and the sauce will coat the chicken nicely. Place flour salt and pepper in a shallow dish large enough to fit one piece of chicken at a time. 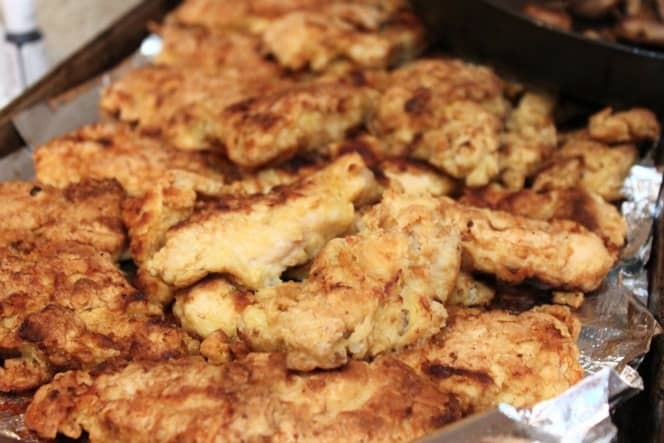 Coat each chicken breast with flour then egg then dip it into the flour again. 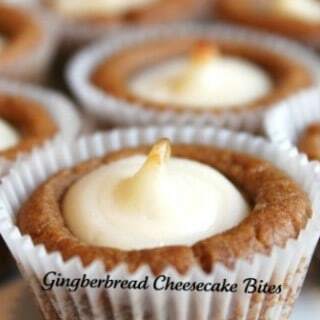 *If you use regular butter add one tablespoon oil to each tablespoon butter. 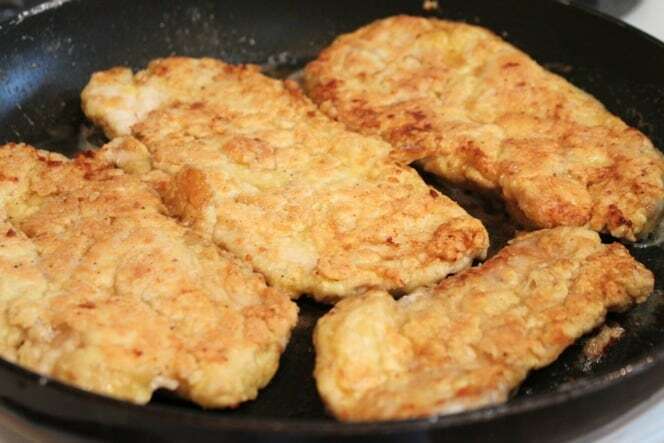 Place chicken into heated skillet, cook chicken on medium, turning chicken to ensure even cooking. Remove chicken from pan, if there are bit and pieces leave them in the pan, they will add a great taste to the sauce. whisk until smooth and the flour has absorbed butter, cook for a minute so the flour doesn't have a raw taste. Add wine, lemon juice, and chicken broth. Cook the sauce on medium low until it boils, continue to stir the sauce. Place chicken in the sauce then turn chicken over so it's all coated well coated. Serve chicken over pasta with additional sauce poured over chicken and top with grated Romano Cheese. *I was compensated by LAND O LAKES® Butter with Olive Oil & Sea Salt, for recipe development. All opinions are my own. 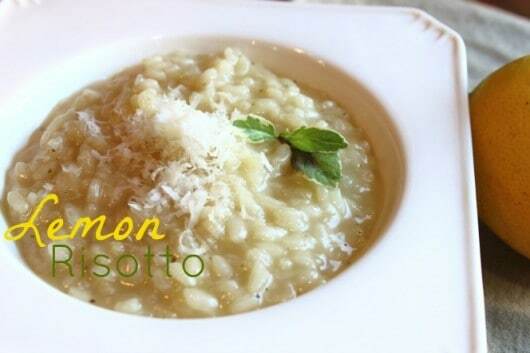 I also made Lemon Risotto with Land O Lakes Butter with Olive Oil & Sea Salt and it was delicious! I love chicken and I eat a lot of it. 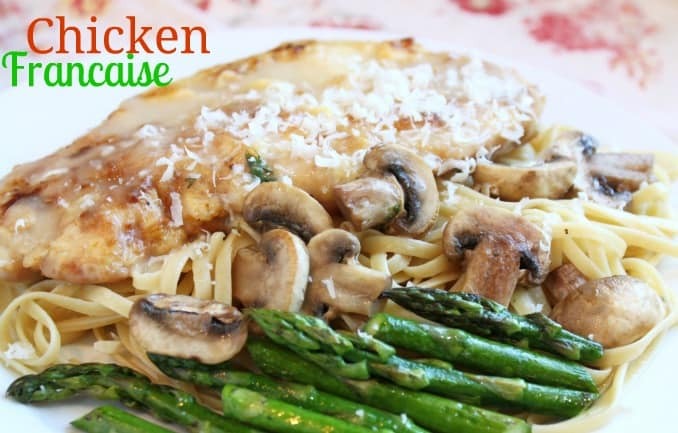 Chicken Parmesan and Chicken Marsala are two of my favourite but I can see that this Chicken Francaise is going to be right up there with the other two. 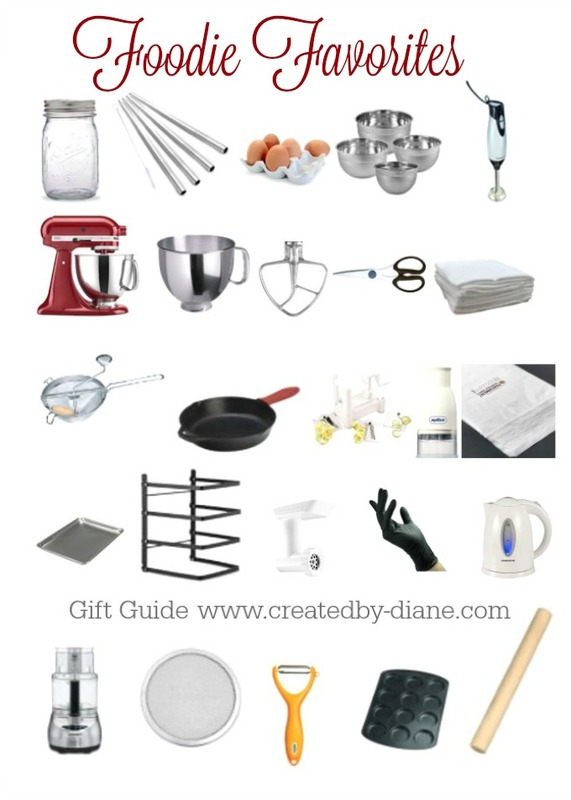 Diane, I have a similar recipe I call Bistro Chicken and I’m in love as well. I’ll have to try yours next! 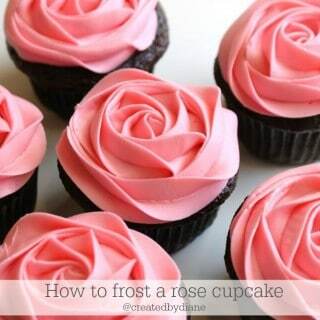 This look delicious. I have the same love for Chicken Marsala. I even order it in my favorite Italian restaurant every time we eat there. It looks fantastic, Diane! I cannot wait to try it. Looks like a great dish to serve dinner guests! Beautifully done Diane, better than eating out, that’s for sure! my kids will love this one! This looks so good and I’m adding this to my list to make soon!!! 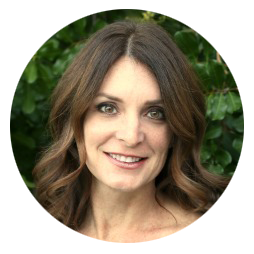 Thanks, Diane! I feel like I hit the internet lottery. 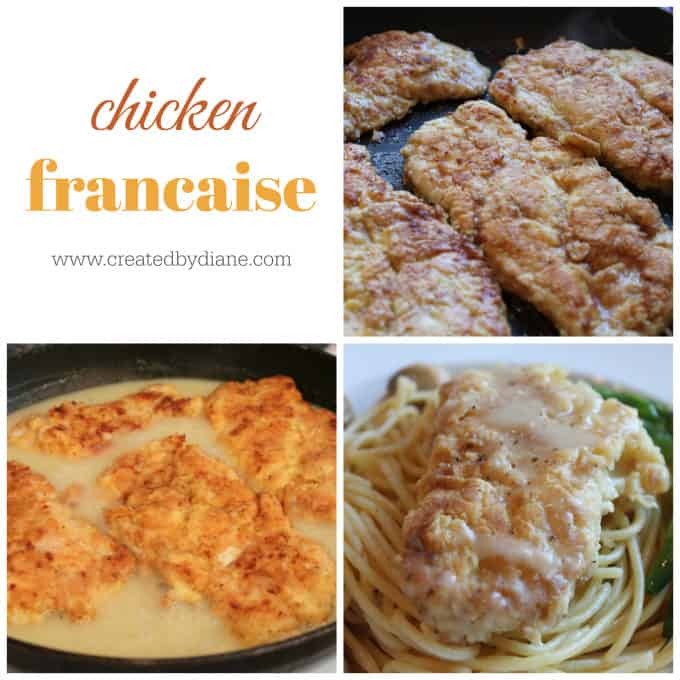 I found your recipe for my favorite dish Chicken Francaise. I order it all the time but I have never attempted to make it. I used the Land Of Lakes with olive oil like you suggested. 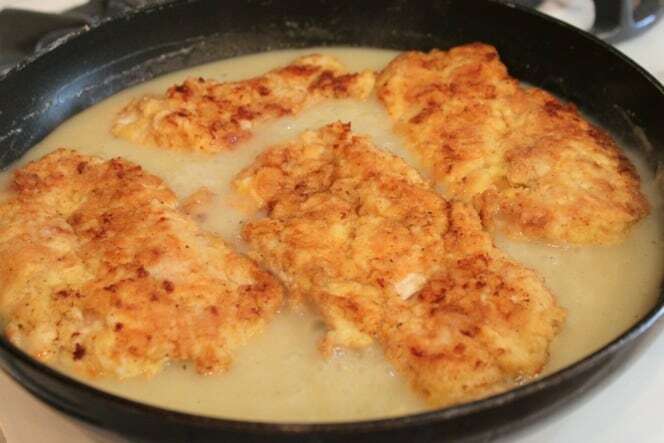 My wife and kids said it was the best Chicken Francaise they ever had! I have to agree! Thanks for the recipe and I look forward to cooking more of your recipe’s. I’m so glad you and your family liked it so much! It has been a favorite of mine for years and I’m glad I can now make it any time I like. (We moved and it’s not available anywhere near us). The West Coast really doesn’t have a handle on the great foods from the East Coast. Sad but true. 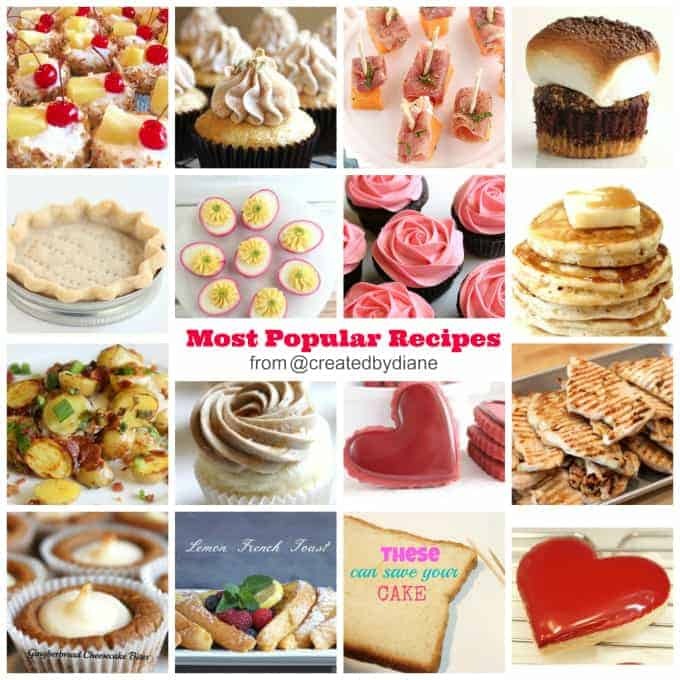 I would love to try this but would like to make it exactly like your tried and true recipe. Can you tell me the exact kind of wine you use in the sauce? This recipe is missing one main ingredient that I’m used to. I’m of Italian decent and live on Long Island NY. Here this dish always contains grated cheese. Either Parmesan or Romano. 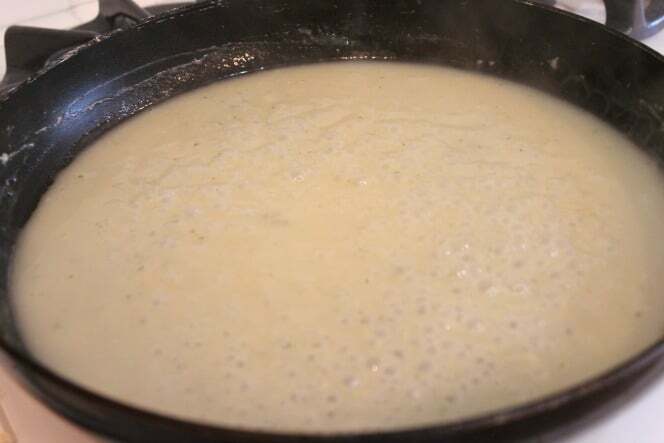 Usually it is added to the coating ingredients, but can be added to the sauce instead. The cheese and lemon are the predominant flavors here. The wine is subtle. I don’t think I would miss the wine if it were left out, but the lemon and cheese are very important. The absences of the cheese definitely left me noticing that something was missing. I typically top the dish with grated Romano Cheese, but feel free to add it to the coating or sauce as you wish. Made this recipe tonight for our daughter-law’s birthday dinner and it was awesome! Wonderful instructions and we’re not much for cooking with wine, I used College Inn wine, herbs & chicken broth and combined with the lemon juice made a great sauce. 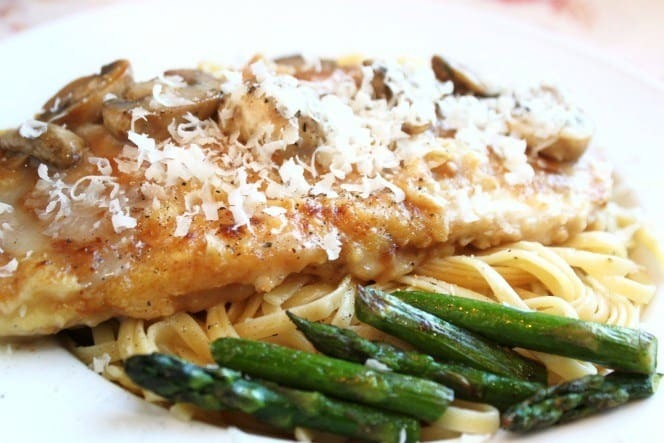 The Chicken Francaise looks and sounds scrumptious, tx for sharing this recipe. Definitely on my to make SOON list. However, I’m interested also in that yummy looking pasta & mushrooms you served it over……may I ask what that recipe is? I sauteed mushrooms in a skillet with a little butter then put them over the pasta with the sauce from the chicken.